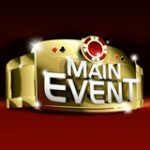 This October PokerStars blocked more than 30 countries and regions from playing real money poker games on the software, since Amaya Gaming has taken over the worlds largest poker site. Afghanistan, Bangladesh, Bahrain, Cuba, Egypt, Iraq, Iran, Jordan, Kenya, Kuwait, Libya, Malaysia, Mozambique, Myanmar, Nigeria, North Korea, Pakistan, Palestinian, Qatar, Rwanda, Senegal, Sudan, Syria, Turkey, UAE, Vatican, Yemen and Zimbabwe. PokerStars and Full Tilt Poker brands will now focus on players from countries that have regulated poker markets with no prohibition on online gambling. There have been some major changes to the brands and PokerStars Future Under New Ownership will certainly be different. PokerStars were always an online poker site and only offered the biggest selection of poker games, promotions and tournaments. 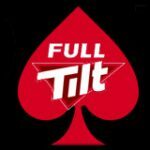 Amaya Gaming have introduced online casino games and sportsbetting to both the brands FullTilt and PokerStars. 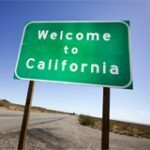 Their new target market is countries which offer regulated and taxed online gaming and choose not to operate in unregulated regions that have unstable gambling laws. 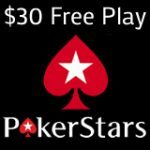 The bold move from Amaya Gaming is no doubt the best way for PokerStars to start with a clean slate when trying to re-enter the US market, starting with PokerStars New Jersey where they were originally denied their gaming license application by the New Jersey Division of Gaming Enforcement. PokerStars banning countries will no doubt affect the sites traffic to some extent but they will still retain their number one position for worldwide poker traffic. 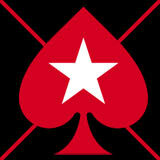 PartyPoker suffered a huge loss in traffic when they withdrew from the USA in 2006 after the UIGEA was introduced. Following a recent review we have decided to stop offering real money games to players who are physically located in, or have a registered address in, a limited number of countries. Our management team and advisers regularly review our operations market-by-market to assess commercial opportunities and business risks for our brands. Players from the list of PokerStars blocked countries will have to look elsewhere to play poker online with the next best poker sites being 888Poker, TitanPoker or PartyPoker. Australia, Austria, Belarus, Brazil, Canada, Cyprus, Czech Republic, Finland, Germany, Greece, Hungary, Ireland, Japan, Kuwait, Lebanon, Luxemburg, Malta, Netherlands, New Zealand, Norway, Poland, Portugal, Russia, Singapore, Slovenia, Sweden, Switzerland, Ukraine, Lithuania, Latvia, Kazakhstan, Argentina, Colombia, Peru, Mexico, Chile, Georgia, Serbia, Moldova, Armenia, Uzbekistan, Vietnam, Croatia, Macedonia, Slovakia, Philippines, Venezuela, Bangladesh, Aland Islands, Pakistan, Estonia, Mongolia, Thailand, Morocco and Tunisia. 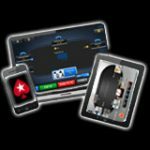 888 Poker also offers similar games like ZoomPoker which is known as SnapPoker on 888poker, the software is also fully compatible with all mobile devices and tablets with the 888 Poker App. 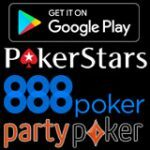 The only feature missing on 888poker is the new Spin & Go PokerStars games but these can be played on TitanPoker as Twister Poker jackpot SNG tournaments.